Combined with innovative technology and workmanship to ensure a lifetime of superior usability and reliability, the Talis C collection lets you usher in a renaissance of classic style. This wall-mounted pot filler faucet swivels 180 degrees and extends a full 26-15/16" to easily reach any burner on the stovetop. The faucet folds back against the wall and out of the way when not in use. 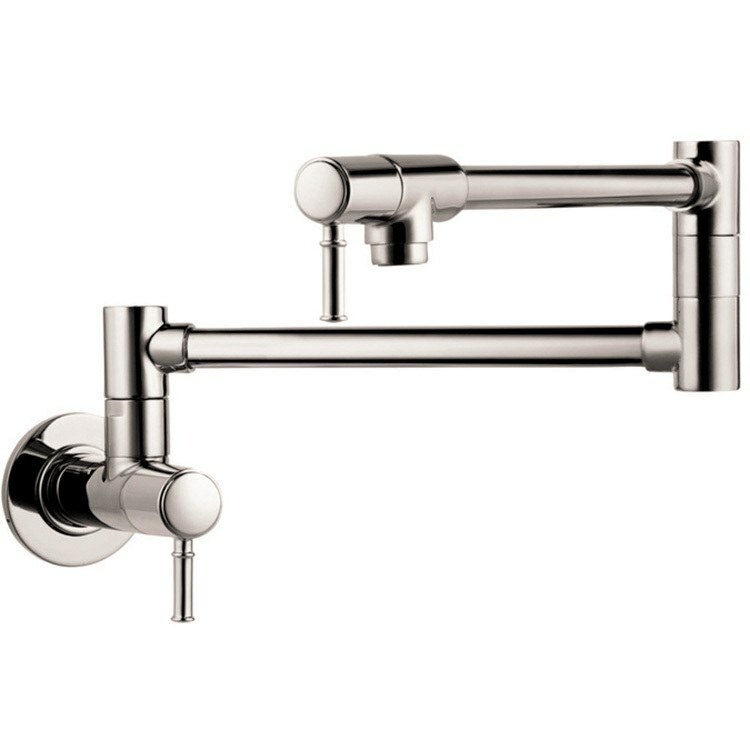 Features dual swivel joints and two lever handles with 90-degree ceramic shut-off valves. Includes installation hardware and flange.